Much of Maspeth in southwest Queens sits on a high hill, some of which (not in this particular view) was named the Ridgewood Plateau by real estate developers (an apartment complex was also called Ridgewood Gardens) — though Ridgewood is actually one neighborhood south and southwest from Maspeth. Since Ridgewood was developed before Maspeth, they perhaps hoped to engender familiarity. 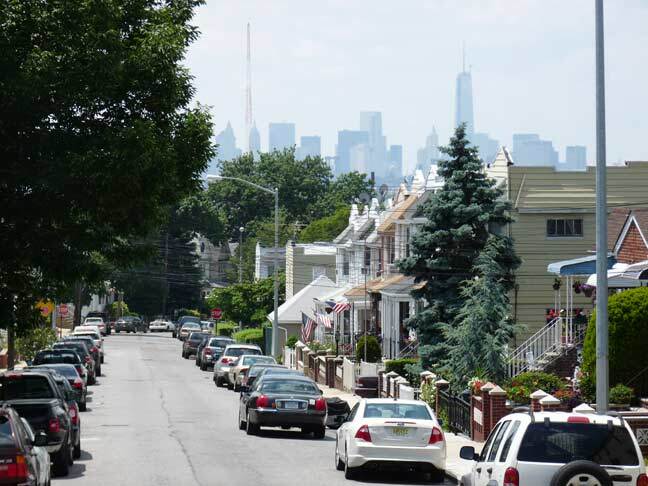 Its location gives Maspeth some prime views of the island of Manhattan. Here from 59th Road and 60th Lane, we can see the tall towers of 40 Wall and 70 Pine on the left, and #1 World Trade Center, which from this angle dwarfs the Woolworth Tower seen directly to its own left. The Ridgewood Plateau is located on 65th Place in the vicinity of 53rd Drive. This post is incorrect. The view of Manhattan here is still good, though. Ridgewood Plateau indeed was at 65th Place and 53rd Drive. I grew up at 6405 53rd Drive in a third floor apartment facing 53rd Drive. My Dad had a small store which sold tobacco products, newspapers, comic books and had an ice cream and soda fountain. He used to prepare fresh Cardani brand ice cream in a special apparatus. His store was on 65th Place, and is now a Pizza restaurant. The view of Manhatten from 53rd Drive was very clear, because land from the apartment house descended without homes or buildings down the hill to Maurice Avenue, where large cemeteries were located. The view of Manhatten was filled by a black cloud the day that the Hindenburg airship burned in New Jersey, some 25 miles from NYC. The area between Maspeth’s Grand Avenue and RIdgewood Plateau was completely disrupted when the Long ISland Expressway was constructed through the streets, and access to Maspeth limited to a few streets which connect to Grand Avenue. I lived on the Plateau from about 1930 to March 1938. I was wondering if anyone knew in what year did they lower the streets in Maspeth. My Grandfathers house on 53rd drive was situated where you walked up 6 steps to enter the top floor and after the street lowering it was changed to going down 3 steps into the bottom floor. I found a picture with the digging in front of the house but not dated. Maspeth is much older than Ridgewood The following is from Wiki but I have read in other places. The area known today as Maspeth was chartered by Dutch and English settlers in the mid-17th century. 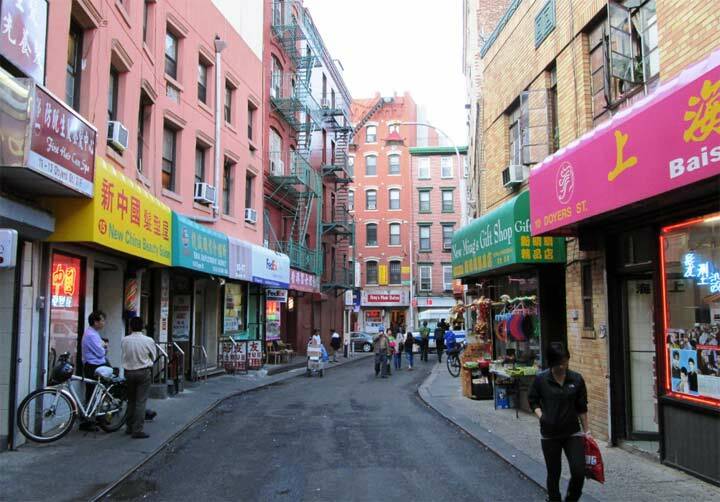 The Dutch had purchased land in the area known today as Queens in 1635, and within a few years began chartering towns. In 1642 they settled Maspat, under a charter granted to Rev. Francis Doughty. Maspat became the first European settlement in Queens.